The August Smart Lock and the August Smart Lock Pro give you keyless access to your home via the August Home app. 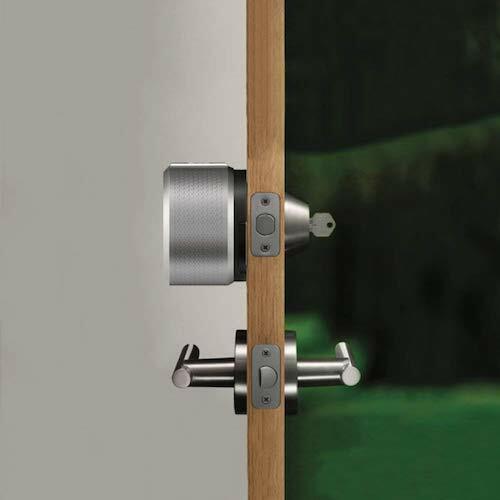 Both August smart locks install over existing deadbolts and automatically lock and unlock when you approach your door. That gives you access to an unlimited number of virtual keys, so everyone in your house can use the locks. The August Smart Lock and August Smart Lock Pro get even better with Connect, a Wi-Fi bridge that lets you lock and unlock your door remotely and works with both Alexa and Google Home. With the Connect upgrade, these smart locks aren’t exactly cheap, but we recommend the Wi-Fi bridge for the functionality and control it offers. *Standard MSRP prices as of 4/16/2019. Prices and availability are subject to change and can vary by retailer. **Z-Wave Plus is Z-Wave upgraded. It allows you to integrate the August Smart Lock with your smart home and control it from your smart hub. Should you get the Connect Wi-Fi bridge? In a word, yes. 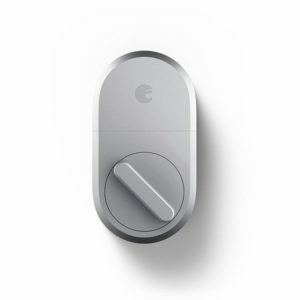 Alone, both August smart locks offer only Bluetooth connectivity, which is great for keyless entry and making sure the door is locked, but doesn’t give you any other remote capabilities. To use features like voice activation and remote access, you’ll need the adapter. August’s Connect Wi-Fi bridge retails for $79, but it’s cheaper if you bundle it with a smart lock. We think it’s worth it for the remote access, which lets you lock and unlock the door from virtually anywhere, grant access to guests, and keep track of who’s coming and going when you’re not home. Without the bridge, the August locks function more as short-range Bluetooth locks—for the price, you’ll want the smart features. Dimensions: 1.6 x 2.6 x 4.8 in. The August Smart Lock is best if you want to cover just the basics. It makes a great companion to any smart doorbell—including the August Doorbell Camera—and it works with both Alexa and Google Assistant. You just won’t be able to integrate it with your smart home outside of that. It also has a unique feature called DoorSense that helps it stand out from the competition. The August Smart Lock is best if you want to cover just the basics. All smart locks can tell you whether your door is locked or unlocked. But DoorSense goes a bit further, alerting you to whether your door is opened, closed, or ajar. 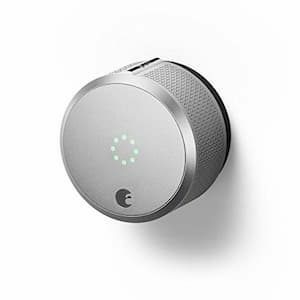 It does this with a two-part sensor: one part is already inside the smart lock, and the other is a separate piece that goes on your door frame. The August Smart Lock also lets you give it instructions—to ask if the door is locked, for example—with Alexa and Google Assistant. It’s a convenient feature, but again, it’s available only with the Connect Wi-Fi bridge. Since you can control August door locks from your phone, August implements a lost phone feature for extra security. If you misplace your phone, you don’t have to worry about someone using it to get into your home. August’s lost phone feature allows you to disable your August mobile app and any virtual keys on your phone and other associated devices. You can use a physical key, if you have one, or download the August app on another device to let yourself inside in the meantime. 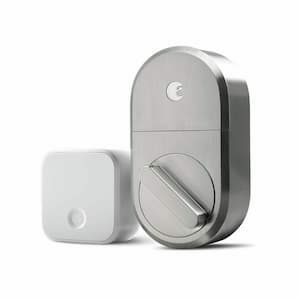 The August Smart Lock retails for $149.99 alone or $219.99 with the Connect Wi-Fi adapter. For that price, it’s in the same range as the Kwikset Kevo and the Schlage Sense. Overall, though, the August Smart Lock offers more features, like DoorSense, for its price. The August Smart Lock Pro builds on its predecessor for a more complete experience with more smart home integration options. Dimensions: 3.4 x 2.2 x 3.4 in. The August Smart Lock Pro is a great choice if you’re interested in connecting your smart devices. It has everything the August Smart Lock has, plus Z-Wave Plus support. It’s also more flexible than the August Smart Lock: The August Smart Lock Pro works with Siri and Apple HomeKit in addition to Alexa and Google Assistant. You can also use Siri voice commands without the Connect Wi-Fi bridge, if you don’t want that upgrade. The August Smart Lock Pro is a great choice if you’re interested in connecting smart devices. The August Smart Lock Pro supports Z-Wave Plus, so you can integrate it into your smart home and control the lock using a smart hub. This is a terrific option for someone who’s really focused on home automation. These days, most smart home products are Z-Wave Plus compatible. Z-Wave Plus is essentially an upgrade to Z-Wave with increased range, extended battery life, and additional radio frequency channels. Fully equipped smart locks are expensive. 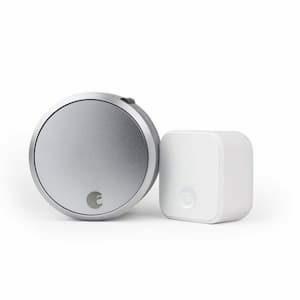 The Nest x Yale lock, for example, retails for $279.99. The August Smart Lock Pro, on the other hand, is $229.99 alone and $279.99 with the Wi-Fi adapter. It’s a bit pricey, but with so many features, it’s a worthwhile investment. Installing an August door lock is a straightforward, easy process. All you need is a standard Phillips screwdriver. Both August locks attach to your existing deadbolt lock—so in case your app isn’t working, your existing keys still will. The August door lock works with most standard single-cylinder deadbolts, and the August mobile app walks you through step-by-step installation instructions. August has step-by-step instructions on its website too. Both the August Smart Lock and the August Smart Lock Pro are great smart locks with extensive and unique features that would work for any home. But overall, the August Smart Lock Pro, paired with the Connect Wi-Fi adapter, is the best choice if you’re investing in a smart lock. We like that August gives you versatile ways to control the smart lock, including through voice commands or through your smart hub. You can control the lock remotely or when you’re on the go; the door auto unlocks and locks your door when you’re coming and going; and it still works with your existing keys. 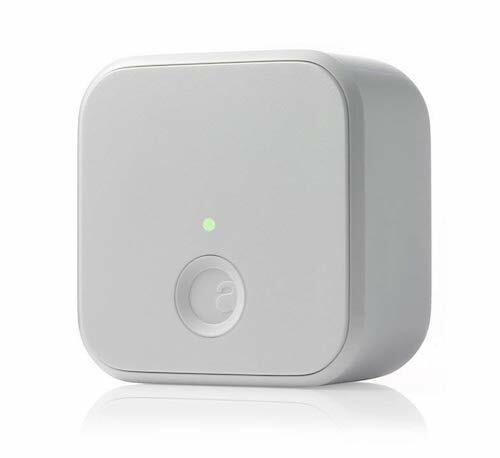 The DoorSense sensor is also a thoughtful feature that lets you know when the door is locked or unlocked, and whether it’s open, ajar, or closed. We think it’s the best smart lock on the market. >>Tired of fumbling for your keys at the front door? Buy the August Smart Lock Pro + Connect on Amazon.